Who were Sykes’ 5th Corps division commanders? On Crawford Avenue near the intersection with Wheatfield Road, you will find a bronze statue of Crawford. Which of Sykes’ division commands have park avenues named after them? 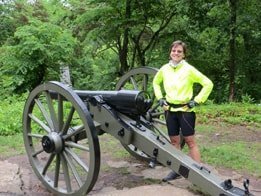 Which of Sykes’ division commanders have statues at Gettysburg? 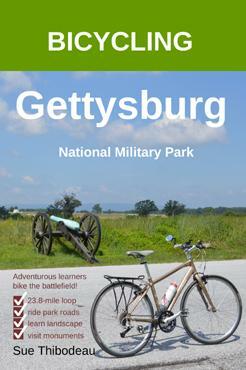 What symbol identifies the 5th Infantry Corps on Gettysburg monuments? 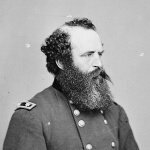 Who commanded the Union 5th Corps? Who were Barnes’ 1st Division brigade commanders? Who commanded the 1st Division, 5th Corps? Who commanded the 1st Brigade of Barnes’ Division? Who commanded the 2nd Brigade of Barnes’ Division? Who commanded the 3rd Brigade of Barnes’ Division? Who were Ayres’ 2nd Division brigade commanders? Who commanded the 2nd Division, 5th Corps? Who commanded the 1st Brigade of Ayres’ Division? Who commanded the 2nd Brigade of Ayres’ Division? Who commanded the 3rd Brigade of Ayres’ Division? Who were Crawford’s 3rd Division brigade commanders? Who commanded the 3rd Division, 5th Corps? 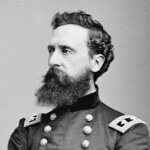 Who commanded the 1st Brigade of Crawford’s Division? 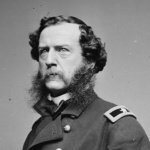 Who commanded the 3rd Brigade of Crawford’s Division?